WHAT IS THE DIFFERENCE BETWEEN SMOOTH TEXTURE AND COARSE MILLED ORIGINAL TEXTURE? Metamucil Smooth Fibre Supplement Powder is ground into finer particles than Metamucil Coarse Fibre Supplement Powder. Because of individual taste differences, you may prefer either Metamucil Smooth products or the Metamucil Coarse products. WHY IS THE SERVING SIZE DIFFERENT FOR SUGAR AND 75% LESS SUGAR POWDERS? Serving size amounts differ by version because the sweeteners and flavorings used in each Metamucil product vary in volume. IS IT OK TO TAKE METAMUCIL WITH FOOD? SHOULD I TAKE IT BEFORE OR AFTER MEALS? Any time of day is appropriate to take Metamucil as long as an adequate intake of fluids (at least 240 mL of water or liquid per serving) is consumed. We recommend taking Metamucil three times per day at mealtimes as a convenient way to get the benefits of Metamucil. However, if you are taking Metamucil to help to temporarily suppress appetite you should take it before eating.Bulk-forming fibres like psyllium husk, may affect how well medicines work. Take this product at least 2 hours before or after medicines. IS IT OK TO USE METAMUCIL EVERY DAY? As a dietary fibre supplement:Metamucil can be taken every day up to three times per day as a dietary fibre supplement. If you are considering use of Metamucil as part of a cholesterol-lowering program* please follow label’s instructions for correct directions and always consult a doctor before using. See below for information about soluble fibre and heart disease.For digestive health:Metamucil can be used for occasional constipation and to promote and maintain regularity. If your constipation persists beyond seven days, consult a doctor because it may be a sign of a more serious condition.Bulk-forming fibres like psyllium husk, may affect how well medicines work. Take this product at least 2 hours before or after medicines. CAN METAMUCIL BE USED PAST THE EXPIRATION DATE? If your Metamucil has expired, please don't use it. The expiration date is on Metamucil because we have research to show that the ingredients are stable until the expiration date, if stored according to label instructions. Please discard any expired product in your trash can. Do not pour Metamucil down your drain. CAN I ADD METAMUCIL POWDER TO MY COFFEE OR HOT TEA? No, adding Metamucil to hot beverages causes it to gel more rapidly. We recommend adding Metamucil to cool or cold liquids. HOW AND WHEN SHOULD I TAKE METAMUCIL FIBRE CAPSULES? Capsules should be taken one at a time; we do not recommend dissolving them in water. Please take Metamucil with at least 240 mL of liquid, as indicated. For Metamucil Fibre Capsules and Capsules Plus Calcium, we recommend taking them 3 times daily with at least 240 mL of liquid, as indicated.Bulk-forming fibres like psyllium husk, may affect how well medicines work. Take this product at least 2 hours before or after medicines. 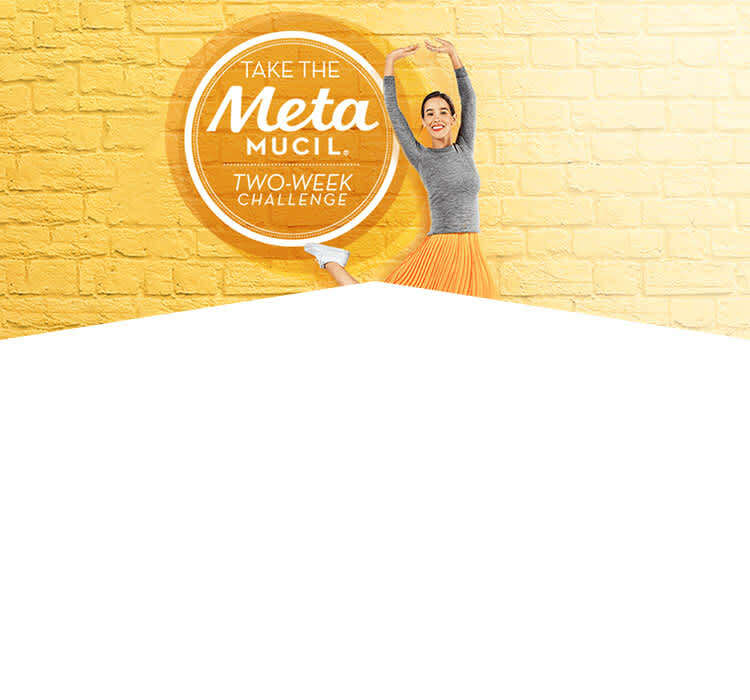 WHY IS METAMUCIL NOW "75% LESS SUGAR" INSTEAD OF "SUGAR-FREE"? This is the same great Metamucil product you had been using – the product hasn’t changed, just the label! Health Canada recently began to recognize maltodextrin as a sugar, which is an ingredient we use in some of our products. In order to be compliant with the new classification by Health Canada, we changed our label to accurately communicate what is in our product. If you had previously been enjoying our product, then we hope you continue to do so. It is still the same great product! 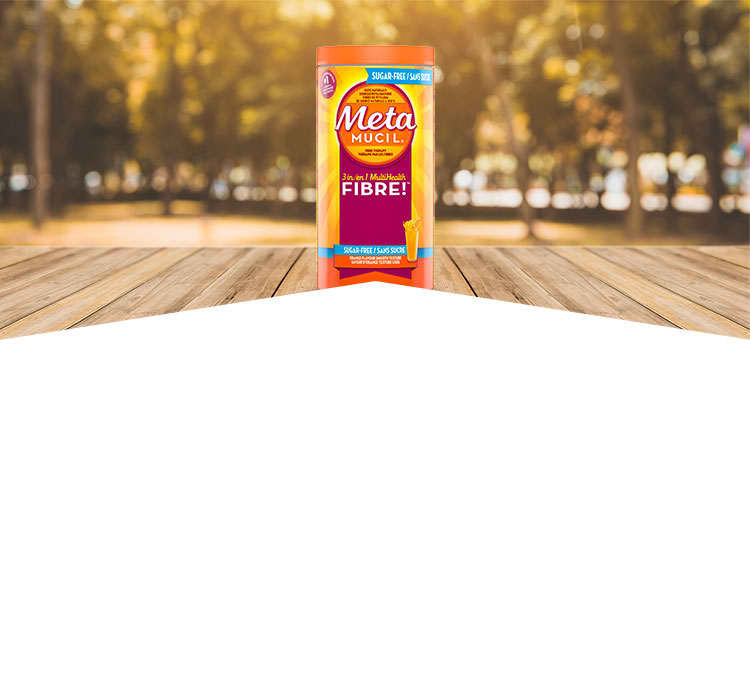 If you are concerned with the 1.9 g of Maltodextrin, Metamucil capsules are a great way to get the benefits of psyllium fibre without any sugar.